So I just watched this again on Netflix (of course) I have to say this show holds up well all these years later. Really love that series and watch it as often as I can. Reruns late at night here, so I try and record it every now and then. Love the mix of the humor and seriousness in it. LOL I served with a guy a lot like Hawkeye. Made some of the crappier parts of the military funny. I like how they were able to mix in the messages they were trying to get across without being "preachy" about it. 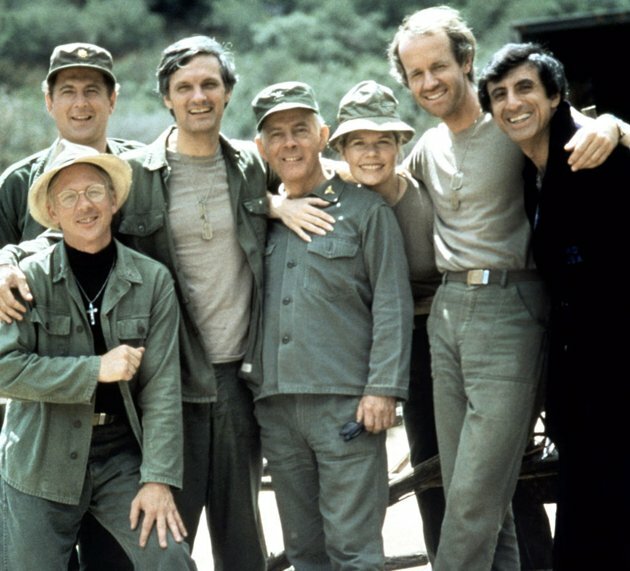 I've been watching MASH since I was about 6 years old. It is my all time favorite show. They have been recycling it over and over here for years, I don't ever recall it not being on TV. I have to say, I do prefer the later line up as opposed to the original cast. I couldn't stand Burns and I thought Colonel Blake was a bit sleazy. I totally agree with you on that one!! Well, Burns just whined about everything and everybody. I *so* pulled a sigh of relief when they wrote him out. Blake,, meh, as I remember, he was never very trustworthy as a commander of a unit. Potter was a much more believable commander. Frank was a drip and I was glad they wrote him out of the show. I loved Radar at first but honestly it was his own fault he was written out of the show. He wanted more money and wanted tgo do side projects that took him out oif the series on occasion. So yes they wrote him out lol. Honestly my favorite character was Klinger. All the dodges he pulled to get out were the best lol. Father Mulcahy was nice too. And I concur about Frank Burns.....he was nothing more than a whiny pi$$ant. I too prefer the older ones I also feel the older ones were more.. realistic.. ya know like I kinda hate it when its like things are obvious and the characters for comedic effect are just like hmm I dont get it.. like in that episode where hawkeye and trapper steal the table for the medicine.. its just like so stupid.. The only reason I started watching the show originally was because hubby and I had seen the movie several times. We were disappointed with the show initially as much of it was too over the top and very unrealistic, the constant jokes endlessly coming from Hawkeye and Trapper began to become monotonous and boring. When they started making changes, especially getting rid of Burns and Blake, a newer and fresher show made it more worthwhile watching. For me the best episode I could relate to was with Charles and the young man who had lost use of his right hand to play piano, that was so poignantly rich for my memories. I liked the Charles episode when he had the stuttering patient as well. It was one of those glimpses into his softer more human side. lmao Oh yes Colonel Flag.